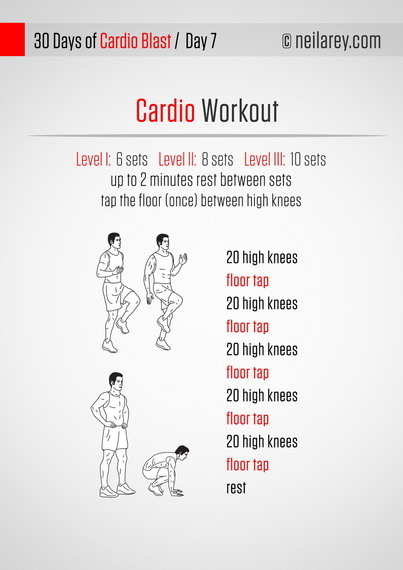 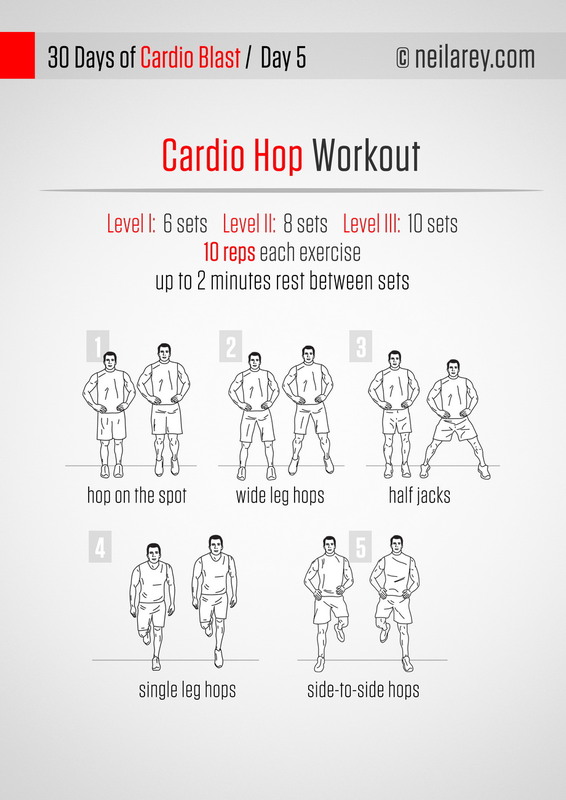 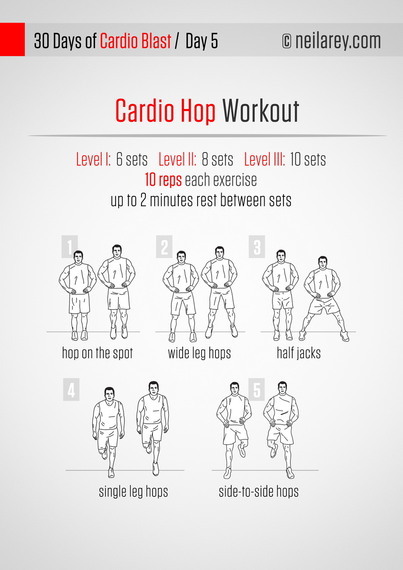 You don't need a gym membership, and you don't need to check the weather report -- you can do cardio in the comfort of your home right now, for free. 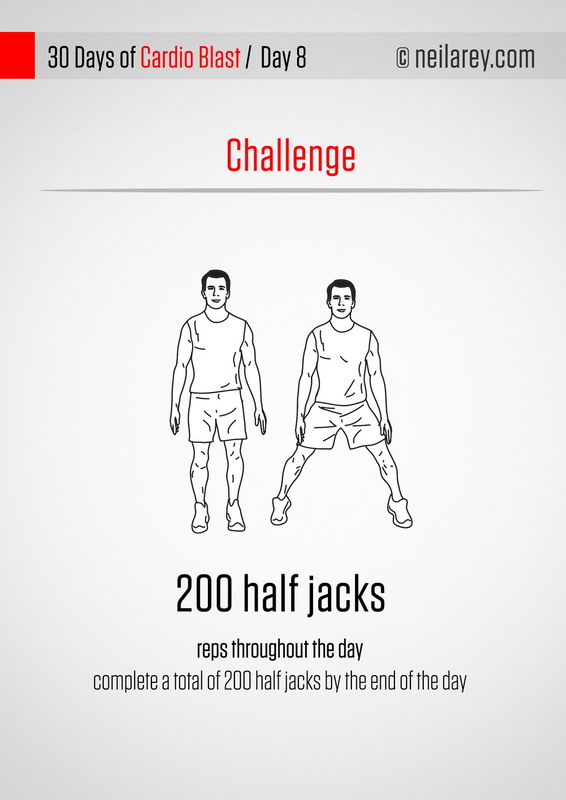 Simply follow the visual guides and you'll be done in half an hour! 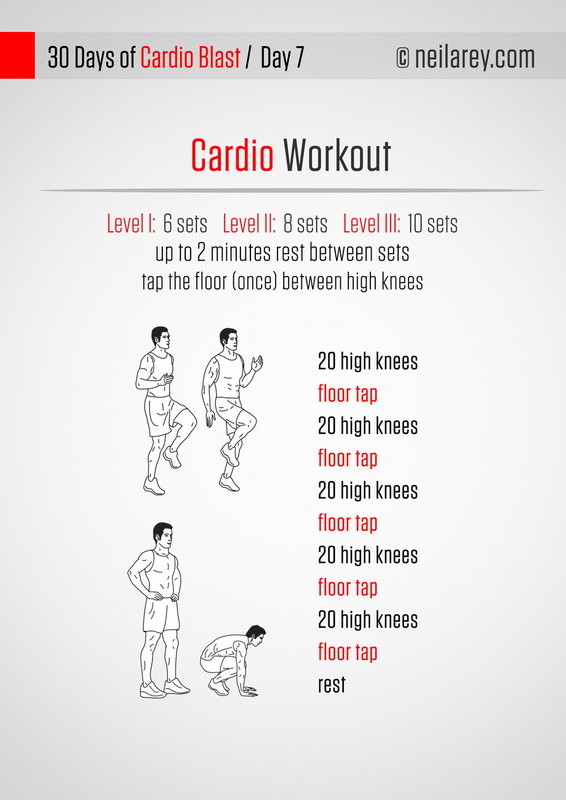 You don't need a gym membership, and you don't need to check the weather report -- you can do cardio in the comfort of your home right now, for free. 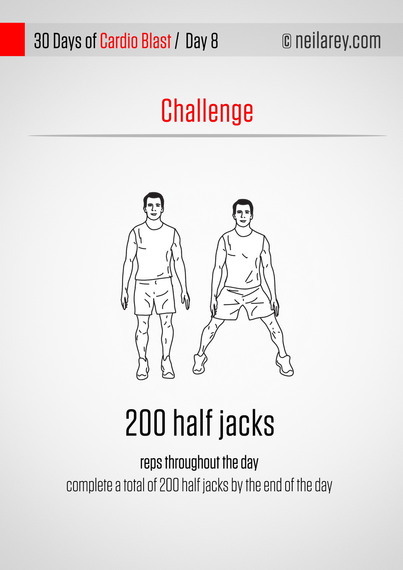 Simply follow the visual guides and you'll be done in half an hour! The best part is, since these are printable A4 posters, you can catch up on your favorite TV show while you are at it. 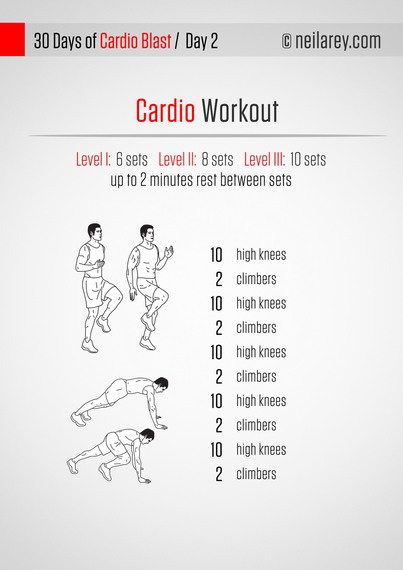 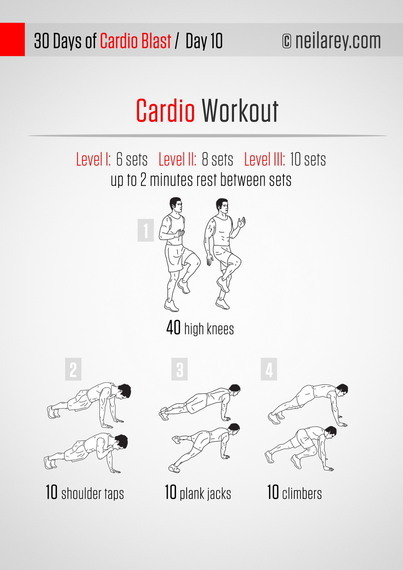 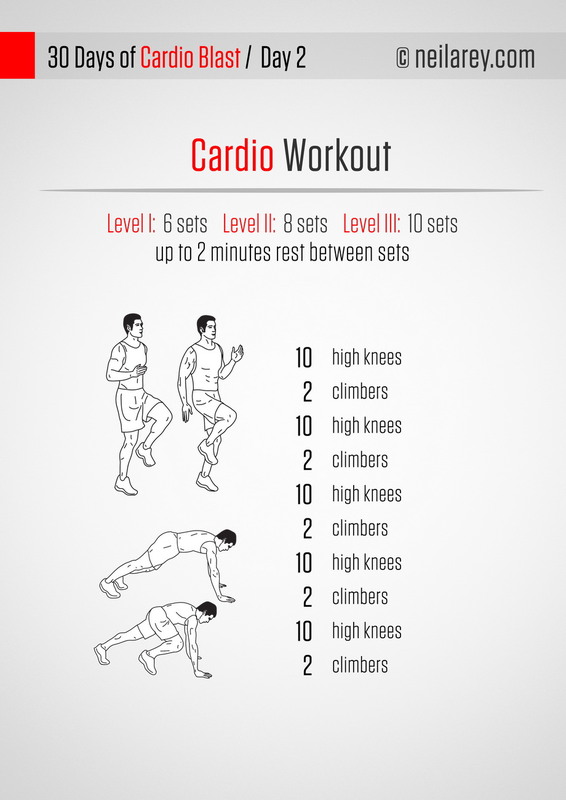 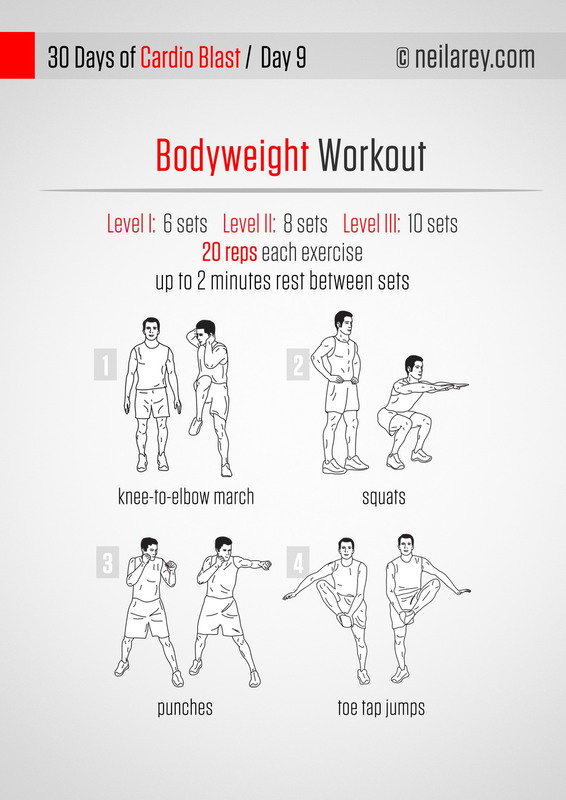 Each routine comes with three difficulty levels and suggested rest time. 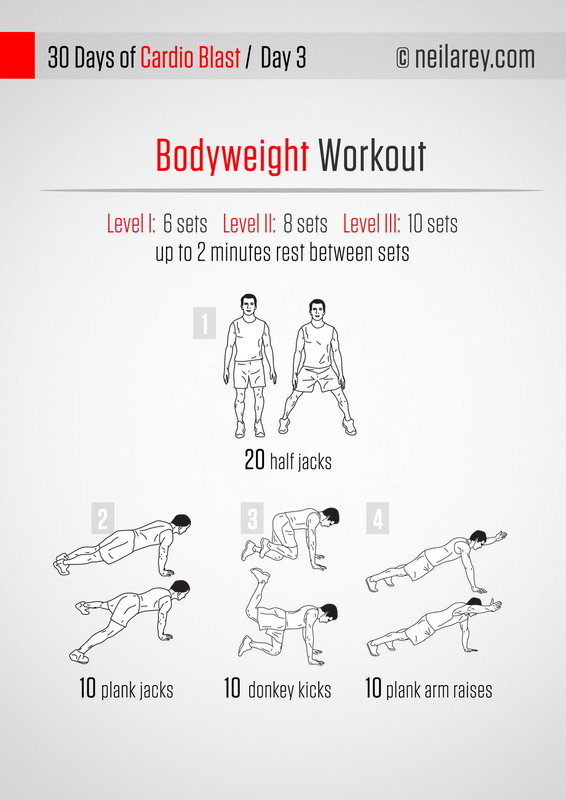 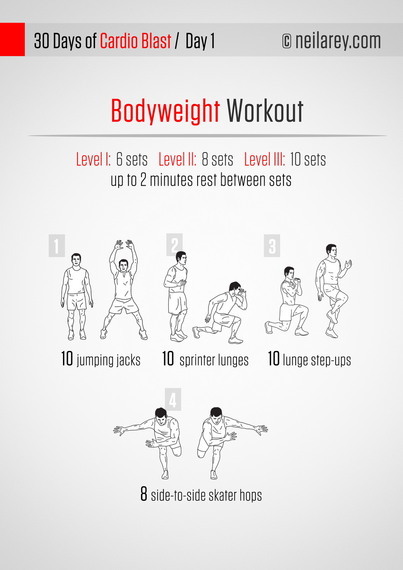 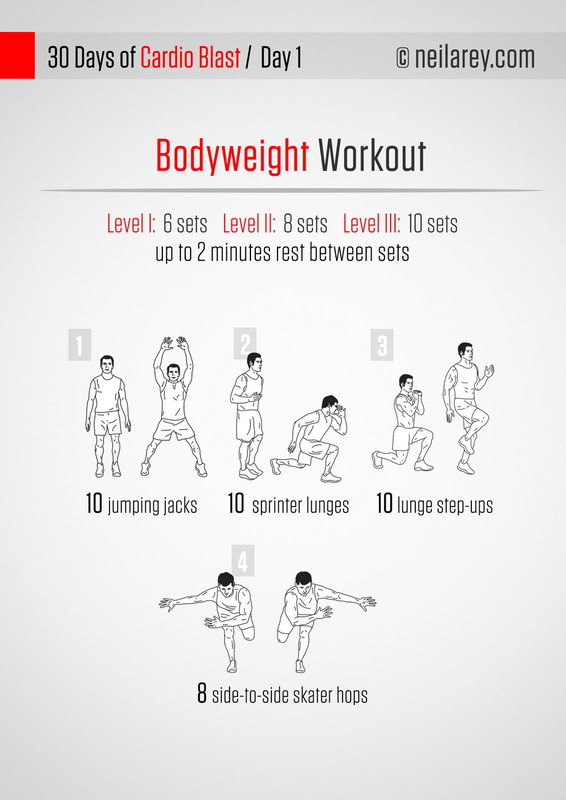 If you are new to bodyweight training, it's best you start on level 1. 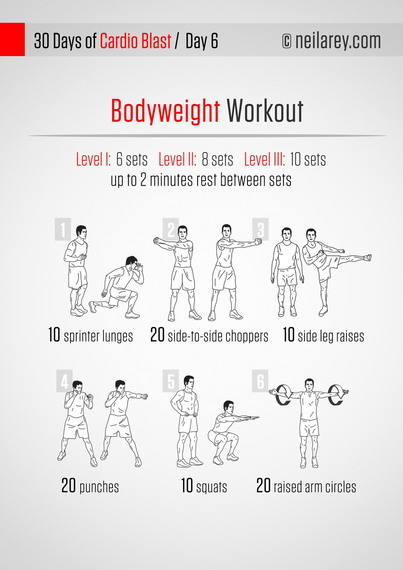 If you want to increase the difficulty of the program, reduce your rest time from two minutes to 30 seconds and feel the burn!